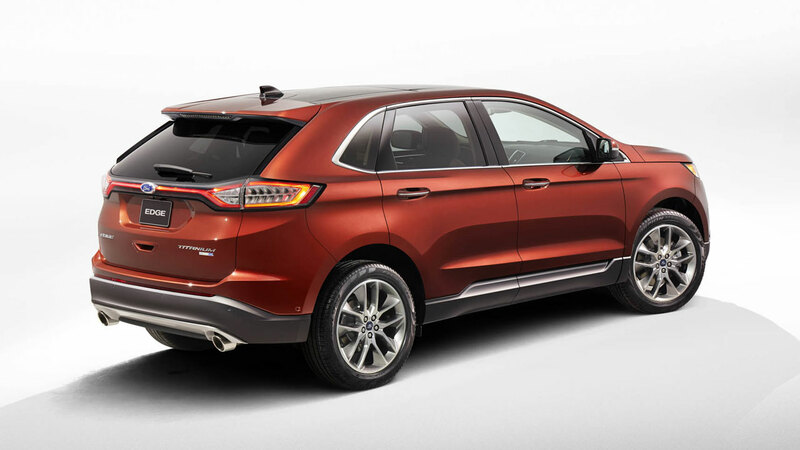 Ford today revealed the all-new Edge, a high tech smart utility vehicle that will go on sale across Europe for the first time in 2015. The all-new Edge has been designed from the ground up to be visually athletic and to meet high expectations for quality in Europe and around the world. The Edge also will deliver advanced new technologies as the third chapter in Ford’s SUV expansion plan for Europe – joining the new Kuga medium-sized SUV and the all-new EcoSport small SUV. 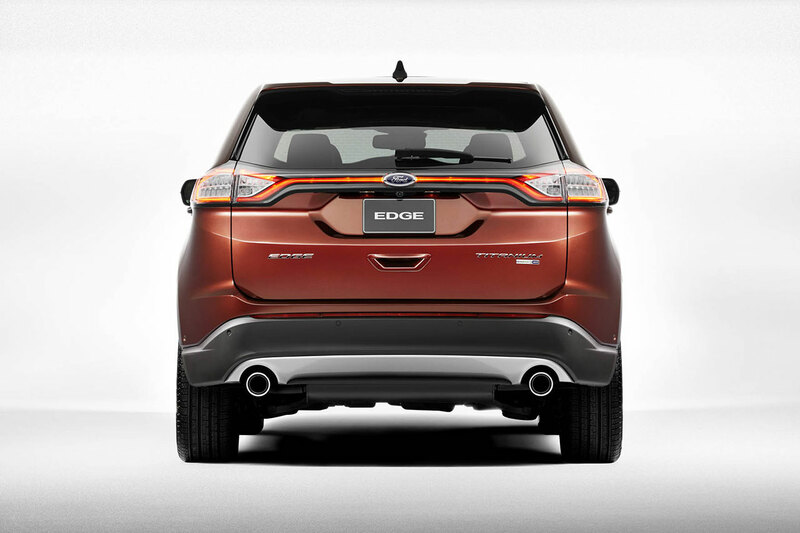 First launched in North America in 2007, the Edge helped reshape the industry’s definition of a traditional SUV, establishing the “crossover SUV” segment. Today, Edge is consistently a top-selling vehicle in the segment in North America – achieving record sales in 2013 – and is offered for sale in select markets in South America, Russia and eastern Asia, including China. With the all-new Edge, Ford in Europe will enter a new segment, offering customers a refined, technologically advanced and spacious SUV. 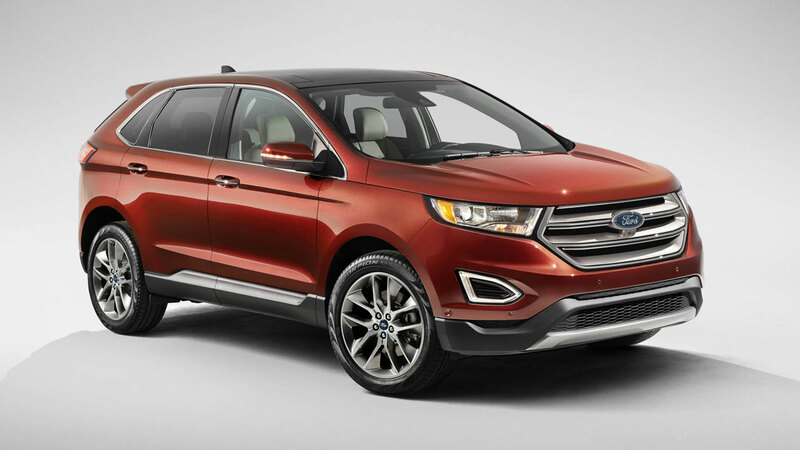 Featuring a four-door, five-seat configuration and Ford’s intrinsic fun-to-drive DNA, all-new Edge will first go on sale in North America early next year, followed by Europe, South America and Asia Pacific later in 2015. 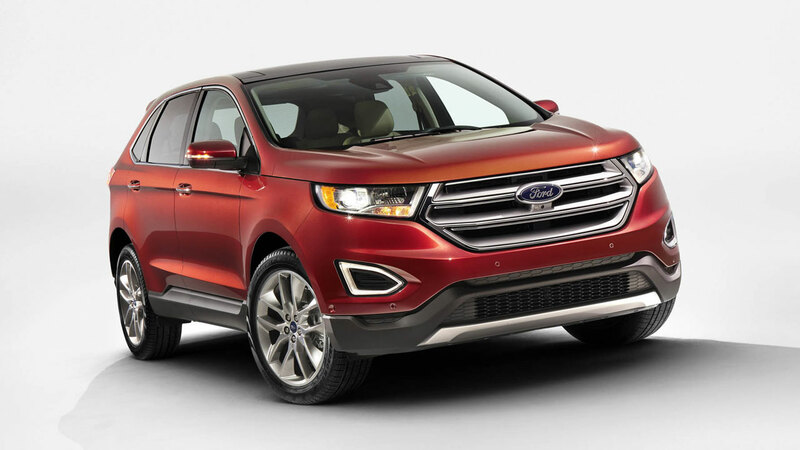 “All-new Edge will deliver more room for passengers than large competitor SUVs that cost considerably more. 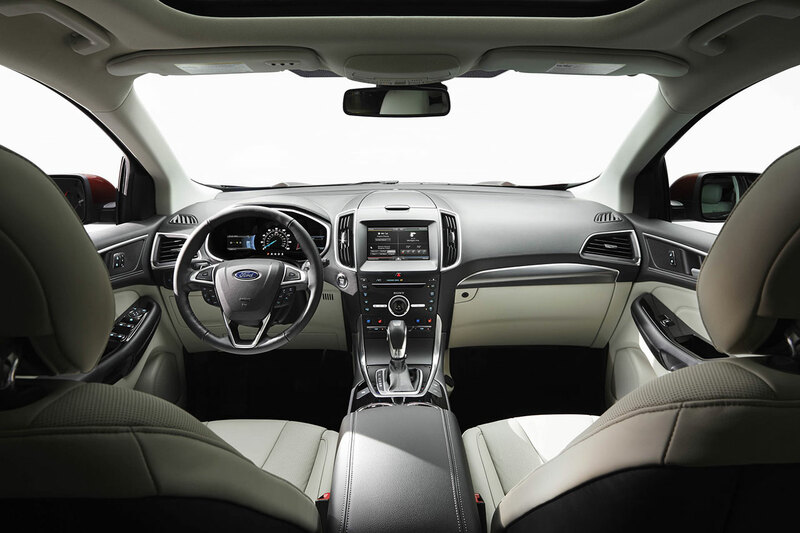 The styling and suite of comfort, convenience and safety technologies in Edge rival the premium offerings in Europe.” said Roelant de Waard, vice president, Marketing, Sales & Service, Ford of Europe. 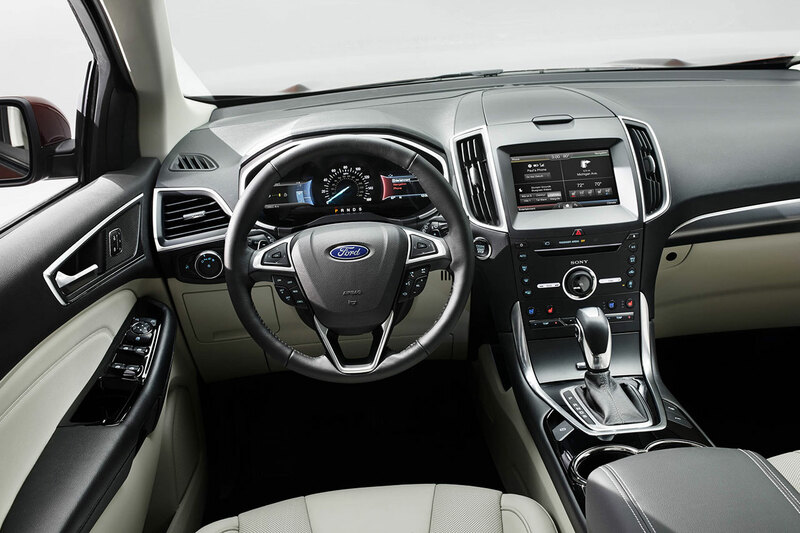 The all-new Edge will feature Adaptive Steering, which will make it easier to manoeuvre and more fun to drive, and introduces to Europe Active Noise Cancellation technology and Front Split View Camera. Adaptive Steering continually changes the steering ratio with vehicle speed, optimising the steering response in all conditions. At lower speeds, such as when pulling into a parking space or manoeuvring in tight quarters, the new system makes the vehicle more agile and easier to turn. At highway speeds, it enables Edge to react more smoothly and precisely to driver input. Ford’s Active Noise Cancellation system employs three microphones in the cabin and generates opposing sound waves directed through the audio system that enhance the overall engine sound and cabin ambiance. Front Split View Camera technology makes negotiating difficult junctions or parking spaces with restricted visibility easier through the use of a 180-degree camera system installed at the front of the vehicle. The Edge also features specially designed ducts along the side of the vehicle that create an “air curtain”, improving aerodynamics at speed. Material and visual quality were a focal point during development. 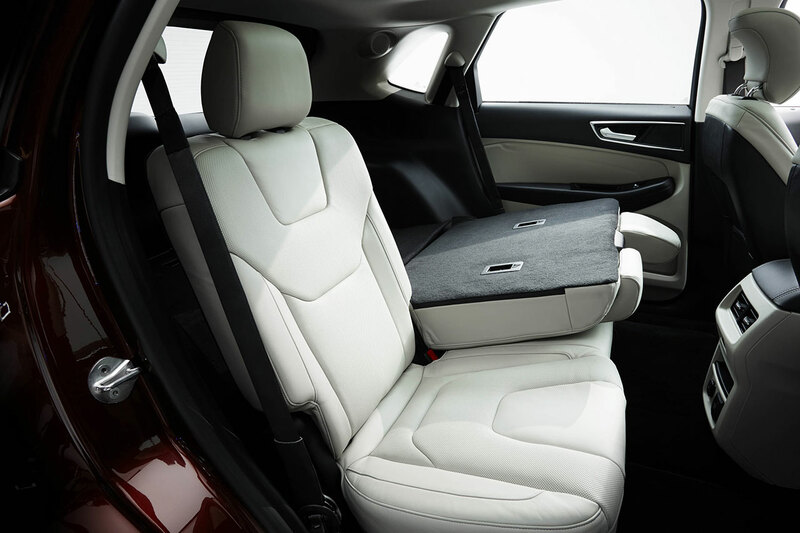 Throughout the vehicle, the design has been executed in a way that reduces visual cut lines. The team worked on the smallest of details, such as how the front doors meet the instrument panel, simplifying the merging points and reducing potential alignment issues. All-new Edge features a charismatic exterior design, with the prominent chrome grille, the thin and chiselled front LED headlamps, and the three-dimensional blade shape rear LED tail lamps. The pronounced wheel openings house 20-inch alloy wheels. A sophisticated body structure and suspension system absorbs and masks road imperfections and noise without compromising handling, helping to deliver a driving experience that fully meets the expectations of European consumers. Integral-link, independent rear suspension ensures a dynamic and engaging ride. High-strength steels contribute to a solid body structure that helps deliver more responsive handling. 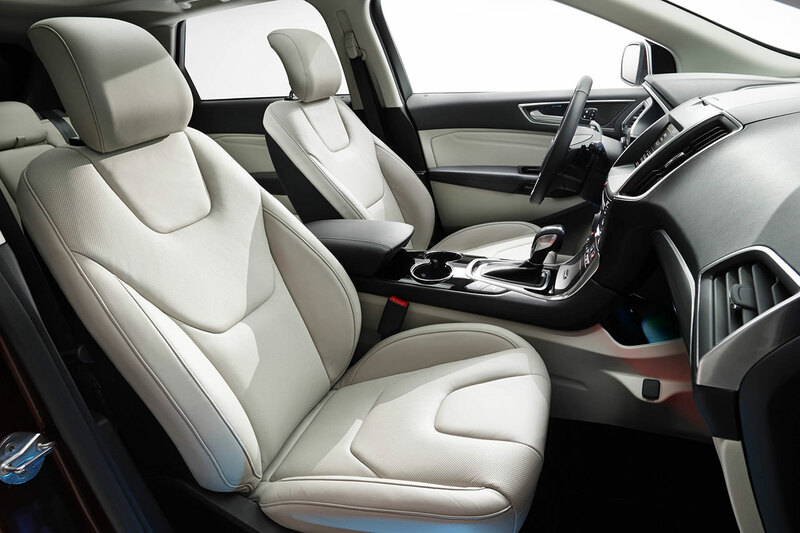 Interior refinement also has been optimised through the use of acoustic glass, and the Edge utilises tyres that have been specially selected for reduced road noise. The all-new Edge will ensure Ford offers a complete range of vehicles to meet increasing consumer demand within the fastest growing vehicle segment. According to Ford data, the European utility segment grew to 21 per cent from 10 per cent between 2008 and 2013. Sales of the new Kuga SUV, launched in 2012, increased by 38 per cent year-over-year for the first five months of 2014 and Ford has already taken more than 16,000 orders for the all-new EcoSport SUV that is in dealerships now.